Kids Learn How To Salute - USA Patriotism! September 8, 2018 - U.S. Air Force Chief Master Sgt. 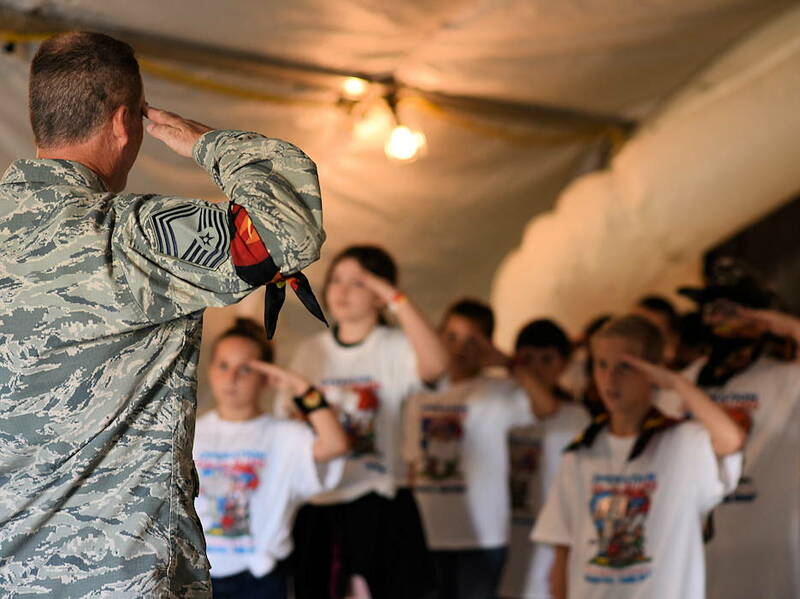 Richard Beard, 145th Aircraft Maintenance Squadron superintendent, teaches military children how to salute during the Annual North Carolina Operation Kids on Guard held at the NC Regional Training Site in Stanly County. Children of military members were able to join in activities including short aircraft rides, engaging with military members while learning flight structure and commands, interactive displays with a C-17 Globemaster III and other aircraft, as well as a ropes course and bouncy castles.